Life-threatening reactions to insect bites (anaphylaxis) are extremely rare, especially in children. Such reactions are usually due to stings by bees, hornets, wasps, yellow jackets, or fire ants. Symptoms include difficulty breathing; itchiness; swelling of face, lips, or tongue; weakness; and profuse sweating. Call 911 if any of these symptoms occur. Ticks are the most troublesome and cause several diseases. Ticks are found in almost all woodland areas of North America, but are especially common in the Northeast, upper Midwest, and the southern Appalachian region. Daily checks will prevent ticks from being embedded more than 36 hours—the time it takes a tick to begin injecting disease-causing parasites into the skin. If you find a tick and you think that it may have been embedded longer, seek medical attention promptly. 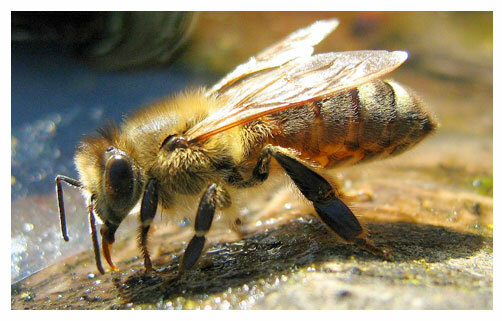 Honeybees have a barbed stinger and leave the stinger with the venom sac attached in the skin. It takes several minutes for the sac to inject all its venom. Removing the stinger immediately reduces harmful effects: Use the edge of a credit card to scrape the stinger away with a sideways movement (one quick scrape). Using tweezers or fingers forces more venom into the skin. For most individuals, bites are annoying, not alarming. Wash with soap and water immediately and then several times a day. Apply antibacterial ointment. Keep your fingernails short to prevent infection caused by scratching. Itching leads to scratching. Carry an anti-itching cream and an oral antihistamine. 1% hydrocortisone ointments are effective. Generally avoid antihistamine and “-caine” ointments; these may sensitize skin. Use moisturizers, makeup, toothpaste, or shaving cream if no other anti-itching substance is available. Cold reduces pain and prevents swelling when used promptly. Heat is effective later. Ibuprofen and acetaminophen also reduce pain and swelling. Enlarging redness and swelling around the bite a day or two later are signs of infection. Apply warm compresses frequently. If fever appears or red streaks extend from the site, seek medical attention. Recluse and black widow spider bites may not become symptomatic for many hours. Symptoms include pain, swelling, numbness, and hardening of the skin at the bite site. Seek medical attention promptly. Ticks may carry Lyme disease; a single "bull's eye"-type rash that occurs a week or more after the bite is an early sign of the disease. See your doctor. 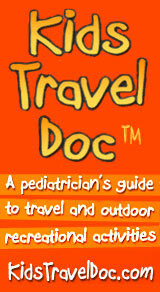 Knowing that your family was overseas or in a distant national park alerts doctors to diseases not seen locally. A small percentage of people are allergic to specific insects. Generally, the first bite sensitizes such people to that insect's venom. Subsequent bites may be life-threatening. See an allergist if you have severe or unusual reactions to bites.